I hope that everyone is having a great September so far! Still warm and beautiful in these parts, and the leaves will soon be changing color soon. 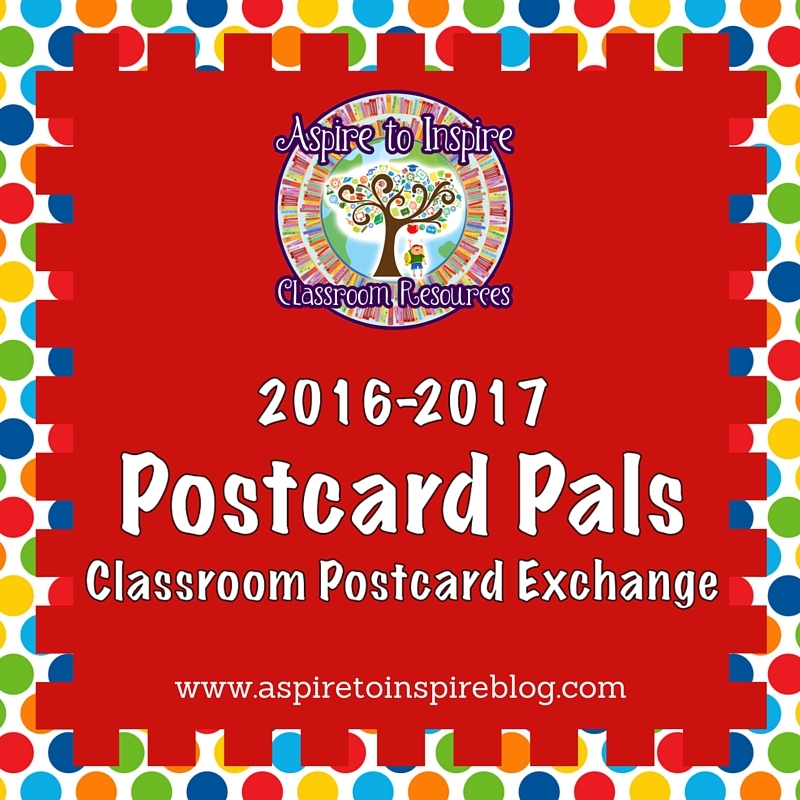 Here's a quick update on Postcard Pals 2016-2017 that I wanted to share. I sent out mailing addresses and instructions to all participants on August 26 via e-mail. The e-mail is from my blog e-mail address, which is info@aspiretoinspireblog.com. MailChimp is the program I use to manage my e-mails, and I'm able to check who has opened and clicked on my e-mails. It also lets me know if any of my e-mails bounced back because of invalid e-mail addresses, and none did that. Based on the reports I've been running, I know that there are some participants who have not opened their Postcard Pals e-mails for whatever reason. If you have not seen an e-mail from me in your inbox, please check your spam/junk folders as it may have been filtered there. It is possible that if you are using a school or business address, the firewall has blocked the e-mail altogether. This has been a problem in the past. If you check and do not find an e-mail in any of your mailboxes or folders, please send me an e-mail at info@aspiretoinspireblog.com and include an alternative e-mail address that you can receive e-mails at, such as a Gmail, Yahoo, etc. account. I will then resend the information. Another thing I've noticed is that the check off documents are not being updated by participants when they send their postcards. Please do this so that I know who has sent postcards and when. Directions for how to do this are included in my August 26 e-mail. Thanks! The deadline for sending postcards is October 31 so hopefully you've been starting to receive them and to send them. Please send me your updates and photos! I'd love to see what's happening.